But don’t wait for the fight to come to you—prepare now by pre-purchasing Battle for Azeroth! Begin your quest to recruit Allied Races, mount up on a Gilded Ravasaur or Seabraid Stallion, and proudly declare your faction allegiance as you steel yourself for the battle to come. Pre-purchase today to use your 110 character boost, and begin the journey to unlock playable Allied Races. Later this year we will announce our retail-only Collector’s Edition, featuring art, music, and lore to celebrate the release of Battle for Azeroth. The Alliance Kingdom of Kul Tiras: Home of Jaina Proudmoore, and the scene of a tangled web of betrayal and dark magic. You’ll encounter power-hungry pirates, witches wielding death magic, and mystical sea priests. The Horde Empire of Zandalar: In this troll-dominated territory, ancient evil waits to be unleashed on the world as you battle crazed blood-troll worshippers, gargantuan dinosaurs, and titan constructs. New Playable Allied Races: With pre-purchase, you can start to gain favor with the Highmountain Tauren, Lightforged Draenei, Void Elves, and Nightborne to unlock playable characters. Plunder Uncharted Islands: Battle in groups of three as you race against cunning rival intruders—or enemy players. Islands are constantly evolving, and many challenges await you. Storm the Warfront: Take part in a large-scale 20-player cooperative Warfront to claim a key strategic location. 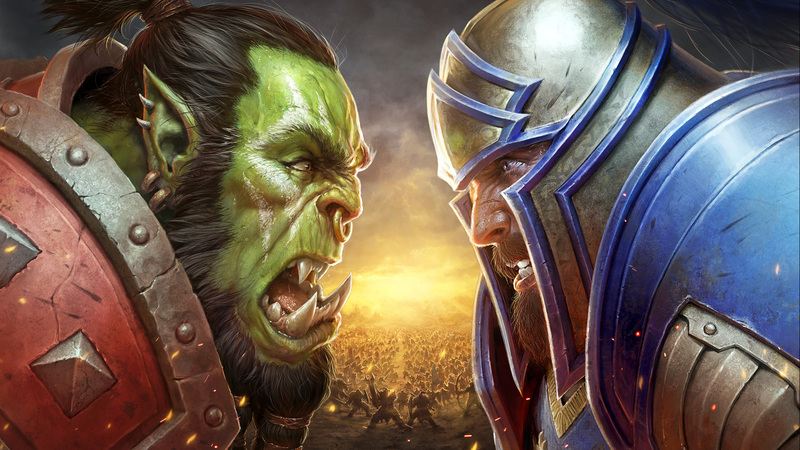 Lead the charge and battle enemy commanders in a new PvE challenge that owes more than a nod to classic Warcraft RTS battles. Heart of Azeroth: Take control of the Heart of Azeroth—a legendary neck piece entrusted to you by Magni Bronzebeard. Imbue it with Azerite, an invaluable resource that is the source of great tension between the factions, to customize your armor with new powers and traits. 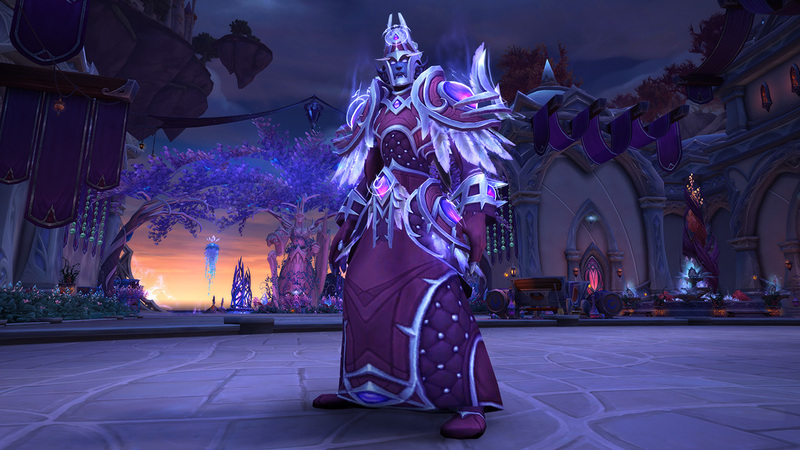 Each Allied Race has its own unique set of requirements to fulfill before you can unlock them, such as completing quests or earning reputation. Once you fulfill these requirements, you can embark on a quest to recruit the race to your faction. 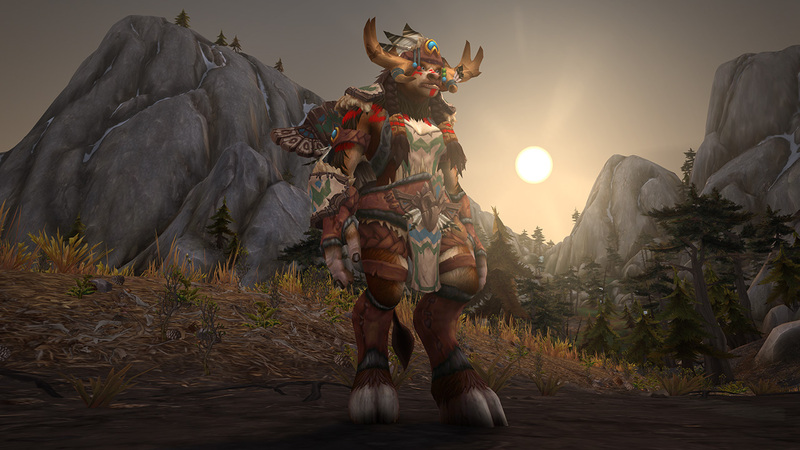 If you level up an Allied Race character all the way from their starting level 20 to 110 without boosting, faction/race-changing, or having levels granted to you through the Recruit-A-Friend program, you’ll earn that race’s distinctive Heritage Armor set—cosmetic gear that you can use on any character of that Allied Race you play in the future. Waste Not, Want Not: Chance to gather additional meat and fish. Lightforged Draenei – For the Alliance! For untold millennia, the Army of the Light waged war against the Burning Legion throughout the Twisting Nether. 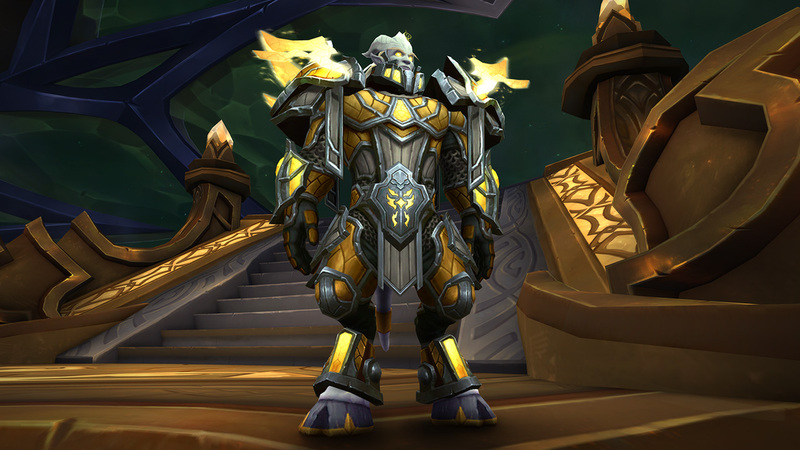 The draenei most committed to their long crusade would undergo a ritual to become Lightforged, infusing their bodes with the very essence of the Holy Light. After finally achieving victory on Argus, the Lightforged draenei have undertaken a new mission: protecting Azeroth from rising threats and helping the Alliance push back against Horde aggression. Forge of Light: Increases Blacksmithing skill and allows you to summon an anvil. Nightborne – For the Horde! To make room for new Allied Race characters, all players will get four additional character slots per realm. When Battle for Azeroth launches this summer, you’ll get access to a ton of new content and features that will put you on the front lines of a devastating war for Azeroth’s future. Pre-purchase Battle for Azeroth and begin your journey to recruit new playable Allied Races today! *To receive Heritage Armor, you must level up without using a character boost, faction or race change, or having levels granted to you through the Recruit-A-Friend program.